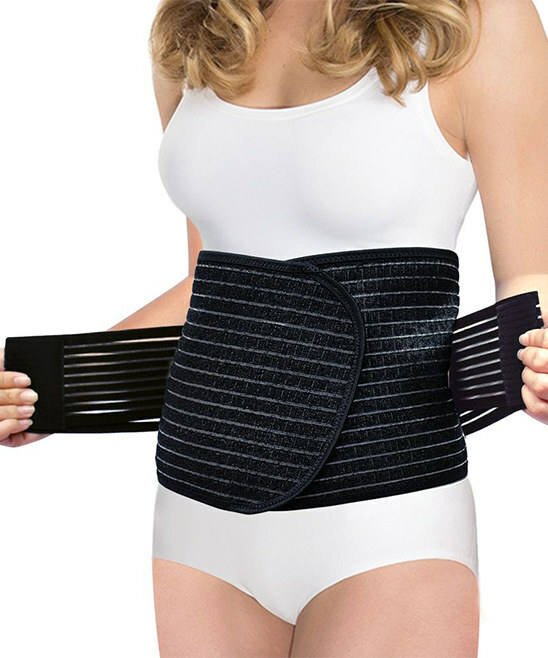 With cutting edge Bamboo Charcoal fiber technology, this deluxe version of the Shrinkx Belly will naturally increase circulation, metabolism & assist your postnatal recovery. The Shrinkx Belly Bamboo Charcoal is the next step up from the basic Shrinkx Belly. 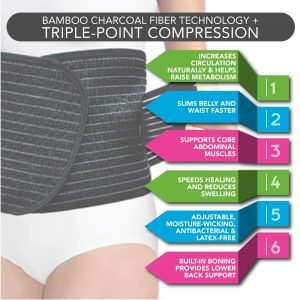 While the design and compression level remains the same, the Bamboo charcoal fiber technology makes the wrap more comfortable, while also increasing blood flow and metabolism. We consider this wrap great value for money while still offering all the benefits that belly wrapping has to offer. 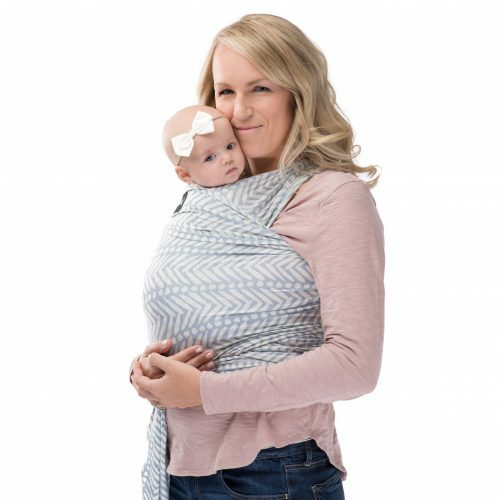 Note: This product is essentially made out of the same fabric as the Mamaway postnatal belly wrap, and looks and feels the same. We have tried both and found the Shrinkx to be more comfortable for women of shorter to average torso length. 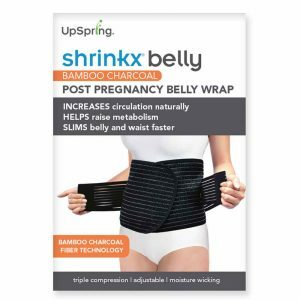 By combining cutting edge bamboo charcoal fiber technology with triple-point compression, the Shrinkx Belly can help you shrink your uterus, and slim your figure post delivery. 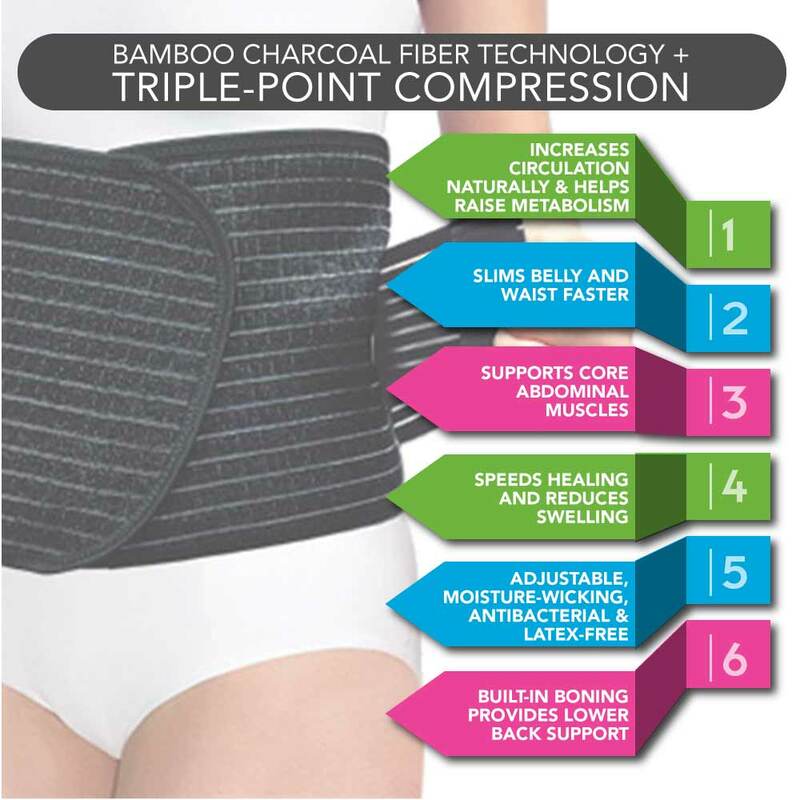 Bamboo charcoal fiber is one of the latest breakthroughs in natural health. It contains unique therapeutic properties which can help increase blood flow and metabolism, speed healing, and reduce post birth swelling. You’ll know the Shrinkx Belly Bamboo Charcoal wrap is working, because you’ll feel it heat up your body naturally. This indicates increased circulation and metabolism, helping to speed healing and the return of your body to it’s pre-pregnancy shape faster. Please Note: No belly wrap should be worn during pregnancy and we always recommend first checking with your medical practitioner before wearing any compression garment post birth – just to be sure all is ok! Before delivery, measure the circumference of your belly. Subtract 8-12 cm from this measurement to determine your Shrinkx Belly sizing. After delivery use your current belly measurements to determine the right size for you. If you are borderline of sizes, we recommend sizing down.